Mohamed Jemni spoke at the TED conference today about his efforts to educate the deaf in developing countries. Jemni's lab at the University of Tunis in Tunisia is building e-learning environments for students with tools like the app MMS Sign, which makes mobile phones accessible for deaf people, and the new WebSign, which unlocks web data using an avatar who speaks sign language. His lab won the UNESCO Prize in 2008 for their e-learning curriculum for visually impaired and the World Summit Award (WSA) Mobile 2010 in the field of social inclusion. He told the TED audience today that “80% of deaf people in the world do not have access to education.” He demonstrated automatic translation of text into sign using a new piece of software. His app, for example, could be used to translate public address announcements into sign. Jemni said he believes “The disability is not the problem, the accessibility is the problem.” TED stands for Technology, Entertainment, Design. It's yearly meetings have blossomed into major events and many offshoots. Here's a video of Jemni appearing at the TED event in Tunis last summer. The ASL episode of Switched at Birth—titled, fittingly, “Uprising,” and airing March 4—will bring fresh attention to the Deaf President Now movement at Gallaudet, recalling a time of deaf activism that continues to inspire a new generation of students today. Read more at The Daily Beast. Kieran Kirk admits he broke into the workshop of a deaf-blind man and stole thousand of dollars of special equipment including an ATV near Peterborough, England. Kirk pled guilty to the burglary charge today in court. He'll return to court for sentencing on March 14. There may have been others involved in the crime against Graham Hicks, but police haven't figured out who they are. Hicks is known worldwide for being a world record holder. He holds the world record for the greatest distance travelled on a jetski within six hours - from England to Holland in record time. The cast of Switched at Birth talk about being a part of the first ASL episode in American TV history here (captions available). Not only was she robbed twice in two weeks, burglars killed her dog. Read the story and watch a video report from WSYX-TV here. ASL is not the same as Inuit Sign Language. Learn more about it here. A "insensitive and tactless" Poster? Marvel has created two comic book covers showing a superhero called Avenger Blue Ear whose blue earpiece confers on him superpowers. But a CNN iReporter says the attempt to promote hearing aids is misguided. Read her article here. WCBS-TV has a video report about the Brooklyn man who was shot and killed Sunday in his apartment. We told you about the crime yesterday and that he was found by his deaf-blind wife. You can read the story here. Police have determined whether the shooting was premeditated or whether the man was hit by a stray bullet. Backstage talks with members of the Switched at Birth cast about the upcoming episode that uses no spoken English, only ASL. Find out things like how many interpreters were needed on the set, how the hearing actors went about learning sign and other behind the scenes info here. Deaf semi-pro soccer player Daniel Ailey almost quite the sport over the mocking by fans. Read the story in the Guardian here. NPR Labs will get federal money to work on delivering emergency alerts to the deaf along the Gulf Coast through local public radio stations. The goal is to show that battery-powered radios will keep people informed during emergencies even when electricity, the Internet and other communications channels are disrupted. This pilot system developed by the research arm of NPR is supported by Homeland Security and FEMA and offers real-time emergency messages, such as weather alerts. The system will work through CAP, the Common Alerting Protocol. CAP is the emergency system that took the place of the EAS (Emergency Alert System) and before that the EBS (Emergency Broadcast System). There will be 25 public radio stations in Alabama, Florida, Louisiana, Mississippi and Texas involved in the testing since the Gulf Coast often contends with hurricanes and tornadoes. During the test, the stations will broadcast alerts to receivers that can accept text messages. Deaf volunteers will be alerted to the message by a flashing indicator on their radios or a bed-shaker triggered by their radios.NPR Labs will look for 500 deaf people to volunteer in the effort. If all goes well, the system will be offer nationwide through public radio stations. Mat Gilbert is a deaf rugby player in the UK. His coach says it is humbling to watch Gilbert overcome the challenges he faces every day. Watch a BBC video report here. Switched at Birth returns tonight with an episode called the Tight Rope Walker. Daphne feels she must choose sides when students at her deaf school rally the school board to stop more hearing kids from attending through a pilot program. Here's a video sneak peak. A Brooklyn deaf-blind woman found her dead husband, shot to death. Watch the video report below or read the story here. South Carolina School for the Deaf and the Blind students are given the opportunity to work with dogs. Read the story here. Deaf entertainer CJ Jones is getting some extra attention after the Huffington Post put him in their Good News blog this week. See the post here. Robbie Wilde lives in a world of rhythm and bass. He just can't hear it. Watch this video report about Wilde below or read the Deaf DJ story here. The founder California's Orange County Deaf Advocacy Center is dead at the age of 50. Richard Roehm suffered a heart attack and died at a local hospital earlier this month. A Cal State Fullerton grad, he worked for Disneyland until he helped to start the Santa Ana-based center in 1998. Roehm was hard of hearing until he became deaf at the age of 11. Below is a video of Roehm at working at a information booth last year to get the word out about his group. For one Rhode Island girl, fulfilling her dreams will mean breaking barriers. WPRI-TV has a video report about her goals. Read about one person's experience with implants in a Bloomberg article here. "The cochlear implant is indeed a miraculous device, restoring hearing to those who would otherwise live out their lives in silence. What the implant -- and the brain -- can’t do, however, is restore hearing to the way it used to be. Cochlear implants are a tremendous advance for people with hearing loss. But they are not perfect." Saturday’s season finale for the Gallaudet women’s basketball team was special for Amy Bachtel and Stephanie Stevens. Find out why here. We recently told you about the coming episode of Switched At Birth entirely in American Sign Language. You can see it Monday, March 4. The episode was inspired by events at Gallaudet University a quarter of a century ago, knowing at the Deaf President Now protests. In the episode, the students at Carlton School for the Deaf protest to keep their school open. Daphne, played by Katie Leclerc, leads the student protest and arranges a demonstration to take place the night before their production of "Romeo and Juliet," in which she stars. Meanwhile, Bay, played by Vanessa Marano, is one of the few hearing students in the school who tries to join the cause. Here's video interview with Katie Leclerc (no captions). 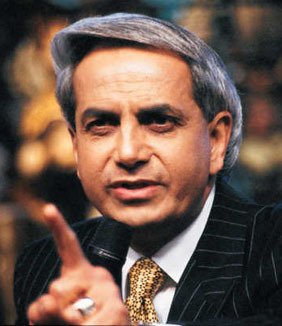 The son of evangelist Benny Hinn is back in the U.S. after allegedly "beating up" a deaf man in Brazil during "one of his father's events" over the weekend. According to local newspapers, the elder Hinn (pictured here) was on stage when Joshua Hinn grabbed a man who he thought was going to throw water on his father. The man, Hestephenson Araujo, wasn't able to speak and explain his actions--he brought a bottle of water with him so that Hinn could use it to "bless" him. The deaf man had to go to the hospital after Hinn and two American bodyguards took him to a trailer park and beat him up in the northern Brazilian town of Manaus. Araujo's father says Hinn's representatives talked him into not press charges--by offering a "large sum of money". The Weekly Standard magazine offers a column that criticizes the Deaf President Now movement (now 25 years old) as a "dubious" civil rights effort led by "campus radicals and malcontents" who "formed a mob to intimidate the duly constituted board" to toss out a "well-qualified woman" for the job as President of Gallaudet because she was "deemed politically unacceptable." You can read the entire column here. A hearing-impaired California teenager lobbied a major movie chain to offer closed captioning in its theaters. KCAL-TV has this video report on how his effort has turned out (no captioning but you can read the story here). $34,000 is raised in New Zealand for a teacher's cochlear implant surgery. "She's spent quite a bit of time crying because she's so overwhelmed by it all," the school principal said. Read the story here. Activist Dr. Angela Davis spoke at Gallaudet University yesterday as a part of the school's celebration of Black History Month. Read more about the visit here. In 1901, they were called "The foremost women photographers in America." 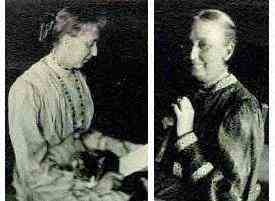 The sisters continued their photography through the early 1920s. A teachers Facebook campaign has put $12,000 in the pocket of a Gallaudet student to further her education. "We see such potential in her and we know she can do it. There's not opportunity for her here. She's paving the way." Read the story here. A Christian church especially for believers who can’t hear on Chicago’s West Side recently celebrated its eighth anniversary. The Chicago Tribune reports on a local church for the deaf. Read the story here. The Washington Post takes a look at a "revolutionary" idea--that a deaf man leading the pioneering university for the deaf and hard of hearing in the nation’s capital. Read the story here. KMPH-TV reports on a deaf high school basketball player in Fresno, California. Or read the story here. It takes a lot of time for physicians who are deaf to set up the tools they need to do their jobs. Tools like electronic stethoscopes and closed-captioning technologies and submitting requests or coordinating with interpreters. While these items help the users, they can take as much as ten hours a week, according to a new study. Researchers asked questions of more than 50 medical students, residents and practicing physicians. Here's what the study found they used the most. The researchers come from the University of California at Davis, the University of Texas Health Science Center, and University of Michigan in Ann Arbor. You can read details are in the latest issue of the journal Academic Medicine. .
WJLA-TV in Washington, DC reports on how Gallaudet is marking the 25th anniversary of 'Deaf President Now' protests in the video below. Or read the story here. How students at Gallaudet are using technology to learn in this video from Voice of America. Read the story here. Misconception: Just a few sign languages are in use around the world. Fact: Sign language developed differently in various countries. Misconception: ASL is not a real language but just a system of symbols. Fact: ASL is its own language with its own rules of grammar. Misconception: ASL is English in sign form. Fact: It is a language of its own. Like any language, ASL has its own vocabulary and grammar. Misconception: A deaf person is less intelligent if that person speaks or writes English with broken grammar. Fact: People who are born deaf have no access to the primary form of English, which is the spoken word. Misconception: ASL is easy to learn. Fact: It can take years to gain fluency, though a great deal of the basic language can be learned fairly quickly. Some 150 from across New Jersey attend the century-old, state-run school for the deaf. The Star-Ledger takes a look at how the facility is doing here. Gallaudet plans to start work later this year on the first phase of major building project. Read about it in the Washington Business Journal here. A look at how a deaf teen is impact his Indiana school. Read the story here. 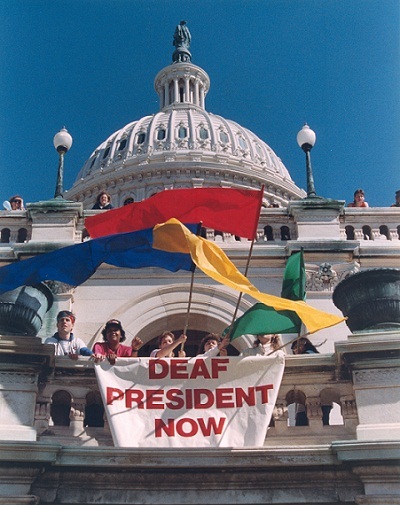 It has nearly been a quarter of a century since Gallaudet was rocked by the Deaf President Now protests. The school will mark the 25th anniversary of the grassroots effort that put Deaf Culture in the headlines and brought Gally its first deaf president, I. King Jordan. He has been followed by two other deaf presidents. The protest began on March 6, 1988. For more on the lectures, panels, and other events planned every the next few weeks to commemorate this movement, click here. A deaf mortician in the UK tells the BBC about her job and how she got there. Read the story here. The Hawaii Center for the Deaf and Blind will pay millions over sexual abuse that took place under school supervision between students. KHON-TV has a video report. You can read the story here. Cochlear had a record 6 months of net profit--$77.7 million during the second half of 2012. The implant maker is bouncing back from losing more than $20 million in the second half of 2011, thanks to a recall of its bionic ear. 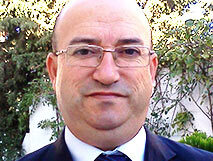 The company sold a record 13,672 cochlear implants between July first and December 31 of last year. During that period, Cochlear began offering some new products in Korea, Japan and India. "For one deaf person, a treatment to make them a hearing person would be a godsend, for another it's like wiping out a culture." The Guardian offers a commentary about a breakthrough in stem cell research here. Health boards in Wales are breaking he law by not providing accessible services for the deaf and hard of hearing, according to the BBC. Read the story here. The name Bill Kastner may not be familiar but you probably know his work. He’s the guy who came up with the equipment that makes closed captioning on television possible. Bill earned his masters degree in electrical engineering from K-State before working for Texas Instruments. That’s where he designed original closed captioning decoder. Bill did everything but create the interface to the television set. Fellow employee Joe Lynn did that. It was the mid 1970’s and Public Broadcasting asked Texas Instruments to come up with a device that would let deaf viewers read what was being said on air. In July of 1993, the FCC declared that all TV’s 13 inches or larger must have a closed caption decoder built into them. A deaf professor won't get his job back at the University of Oregon. Peter Quint taught ASL at the school until making a reference in front of a class to shooting students- even though several of the students who had heard his remark characterized it as harmless and provoked. But a federal judge has dismissed the case, dismissing Quint's claim that his remark was protected free speech, he ruled that Quint had no grounds to file the suit in the first place because, the judge said, there wasn't enough evidence that the students who had disrupted his class did so because of his disability. Quint could appeal. You can read the details of what happened here in a post we made back in July 2011. A deaf and one-time inmate in the DC jail is suing the prison system for allegedly not providing him medical care last year. William Pierce was given 60 days for assault, but wound up in solitary confinement after complaining about the conditions at the private facility where he was confined. Officers handcuffed his hands behind his back, preventing him from communication through ASL. He was even handcuffed during visits with his mother and partner. The lawsuit, which has the backing of the ACLU, also claims Pierce wasn't provided an interpreter for medical appointments and substance abuse classes, or given his medical prescriptions. The D.C. Department of Corrections hasn't responded to the suit yet. Here's a video report on the suit from WRC-TV in Washington.